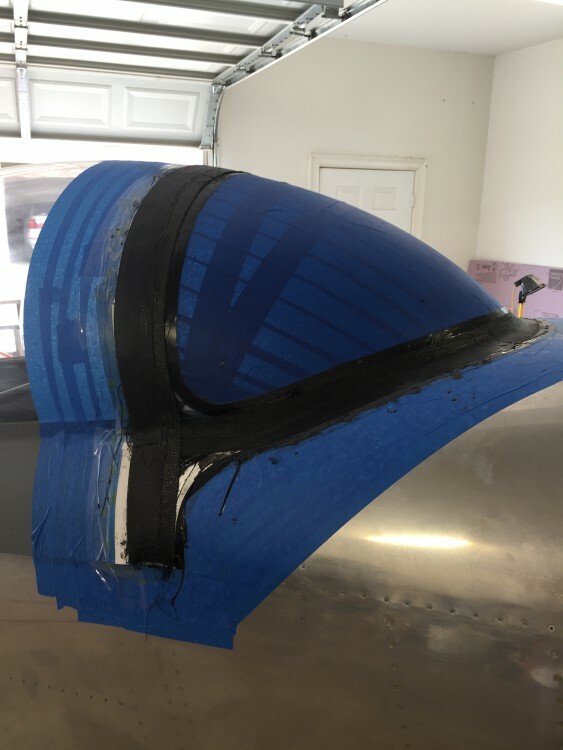 The debate of whether to follow Van’s instruction in regards to using pop rivets to attach the canopy to the canopy frame vs. using an adhesive like Sikaflex to do the job without drilling holes in the canopy is a matter of preference. I chose to follow the instructions because I liked the idea of a mechanical connection between the canopy and the frame. The RV-8 canopy is very long and experiences significant thermal expansion and contraction, and it’s not unusual for the canopy to crack. Rather than obsess about the possibility of it cracking at some point, I’ve decided that it will crack one day sooner or later and that when it does, I want to be able to replace it in a reasonable amount of time. 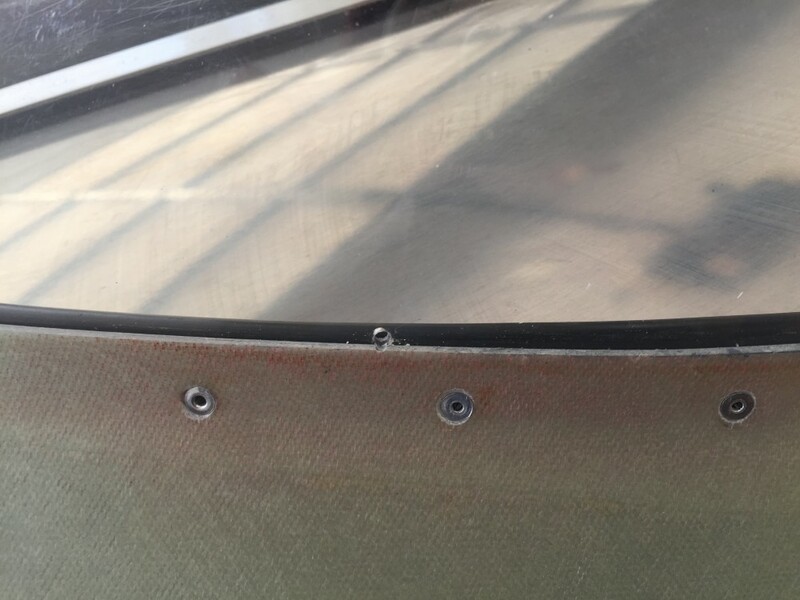 Drilling out pop rivets is not hard and I’ve chosen to go that route with the inevitable replacement. I’m just resigned to it, I guess and I’m taking the approach, which I think will afford the easiest replacement. 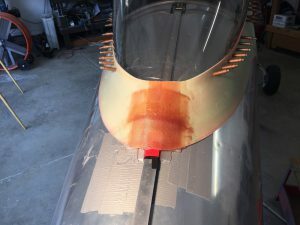 Having now been through the canopy process, there’s a part of me that would like to have another “crack” at it anyway, so I won’t be devastated if that occurs. 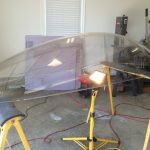 This entry was posted in Canopy and Windscreen on June 15, 2016 by Mark Dickens. The canopy skirt wasn’t as bad as I feared when I first took a look at the fiberglass skirt pieces supplied by Van’s. 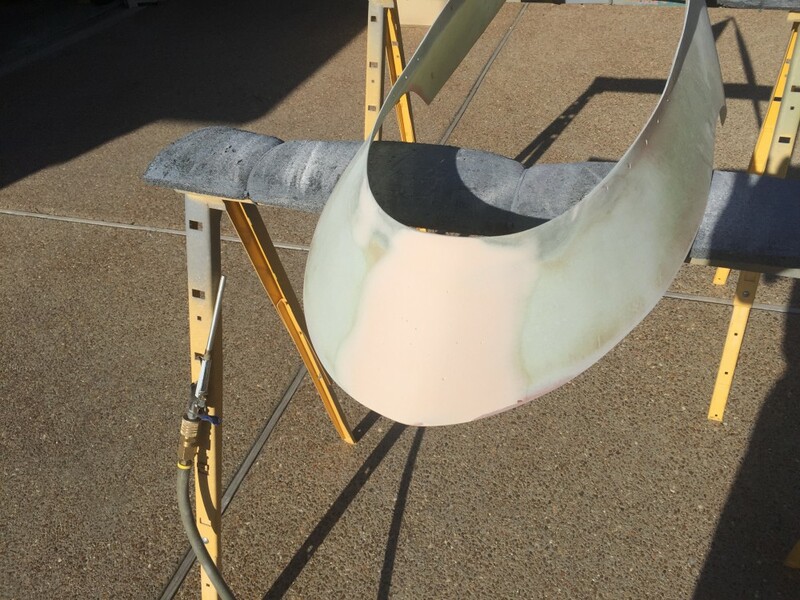 As is usual with the fiberglass supplied by Vans, it’s pretty rough with a lot edges that need to be trimmed. 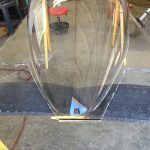 I started by clamping the skirts to the canopy frame to achieve the best possible fit with the frame, with particular focus on the rear of the skirts. 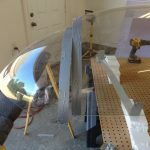 Once I had them clamped in place, I began the drilling process using a strap duplicator and the templates called out in the instructions. This was an iterative process with several holes bring mis-drilled and filled with flox. 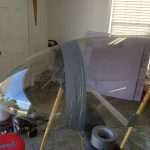 Fortunately, after I had the skirts drilled and clecoed to the canopy frame, the skirt fit well enough and I began the fiberglass process to join the skirt rear area. I covered the canopy slide with electric tape and fashioned a small piece of aluminum to shape the area around the slide. Flox was applied to this area. When I got done, it fit perfectly, or so I thought. I took the skirt off and sanded it to my liking. Looks good doesn’t it? Unfortunately, when I reinstalled it, it had mysteriously changed shape and no longer fit. WTH? I’m still not sure what happened, but I grabbed my Dremel tool and cut the skirt in half again. One step forward, three steps back! 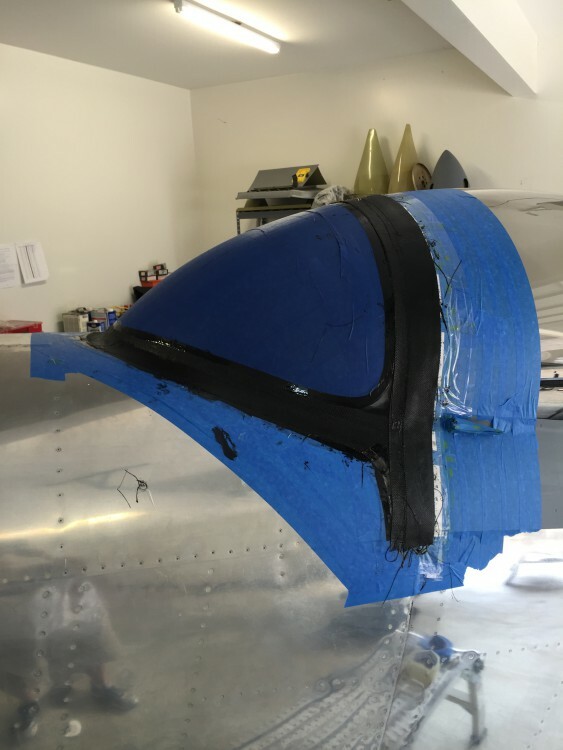 This time, I installed the skirt on the canopy, and did all the fiberglass work in situ, using electrical tape, duct tape, packing tape, etc to protect the canopy while I worked. Since I did all the work in place, it fit well. 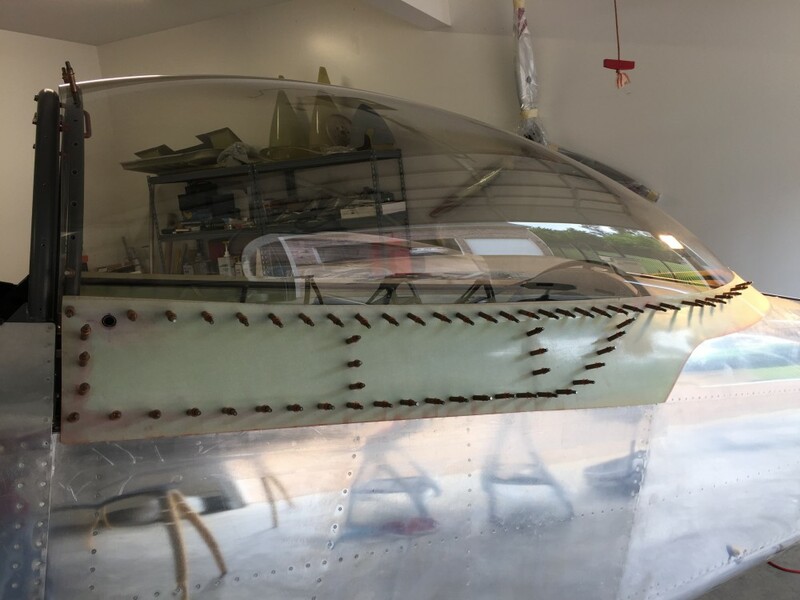 With the skirt in place and everything trimmed to my satisfaction, I began the riveting process and it went reasonably well, with the exception of a small crack created by the force of the riveting process and the hole being a little too close to the edge of the canopy. I quickly stop-drilled it and will cover this area with a line of proseal at some point. 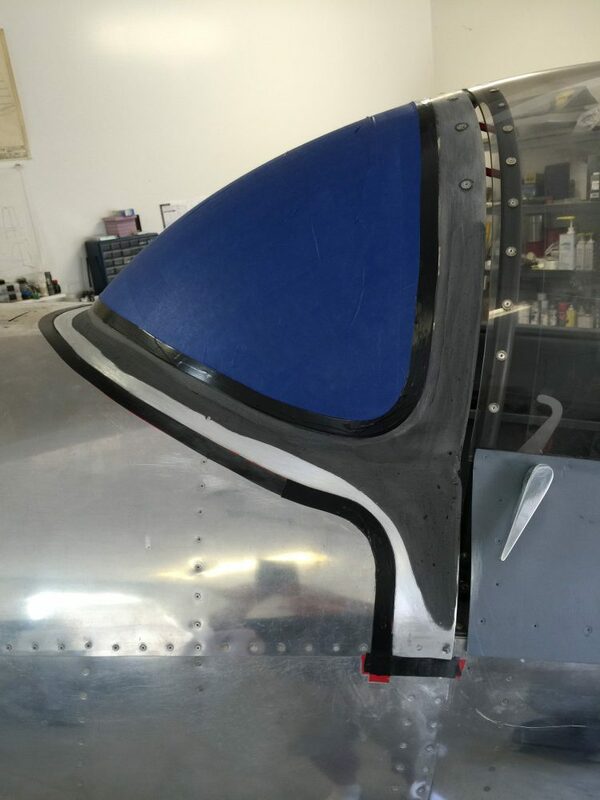 This entry was posted in Canopy and Windscreen on May 14, 2016 by Mark Dickens. The big cut strikes fear in the hearts of builders! This is where you take a very expensive piece of fragile plastic and cut it in half. Well, it was not that bad. As long as it’s warm, and you aren’t to ham-handed, you’re good. 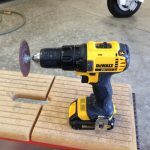 I used my Dewalt drill and used the cutting wheels supplied by Vans to do the deed. I also used my halogen lamp to add some warmth to the process. Worked just fine! It was a messy process and I’d not soon want to do it again. 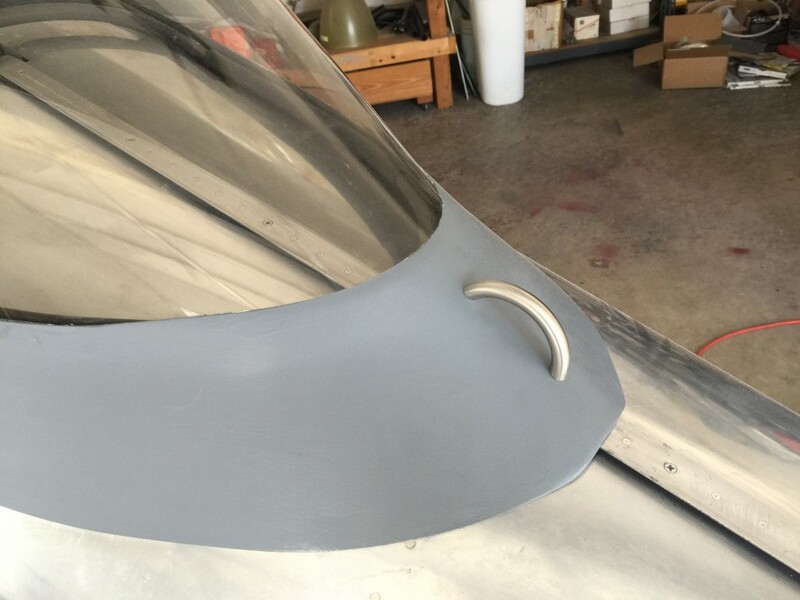 This entry was posted in Canopy and Windscreen on May 6, 2015 by Mark Dickens.